Loyola University New Orleans welcomes new academic leadership this fall with the appointment of a new provost and two new deans. 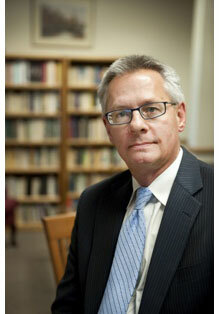 Marc Manganaro, Ph.D., has been selected as provost and vice president for academic affairs. Manganaro, who began work with Loyola on July 1, was formerly the dean of the College of Arts and Sciences at Gonzaga University and a professor of English. 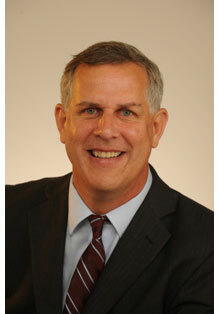 He replaces Loyola’s previous provost Edward J. Kvet, D.M.E., who retired in July. Prior to his work at Gonzaga, Manganaro taught English for 18 years at Rutgers University, where he also served as an administrator toward the end of his tenure there. He was the dean of academic affairs at Douglass College, the women's college of Rutgers, where he received the Douglass Medal for Outstanding Service in 2006. From 2002-04, he served as associate dean of academic affairs at University College, Rutgers. Prior to his work as the associate dean, he took on leadership roles in departmental administration and in faculty governance, and for one year was chair of the Rutgers Faculty Council. A native of Omaha, Neb., Manganaro earned a bachelor's degree in English from the University of Nebraska at Omaha, his master's from San Francisco State University, and a doctorate from the University of North Carolina at Chapel Hill. Michael P. Olson, M.L.S., Ph.D., is the new dean of libraries for the nationally-recognized J. Edgar and Louise S. Monroe Library. Olson was formerly a professor and associate university librarian for information commons at the University of North Carolina at Charlotte. He succeeds former library dean Mary Lee Sweat, M.S.L.S., M.B.A., who retired in 2010. 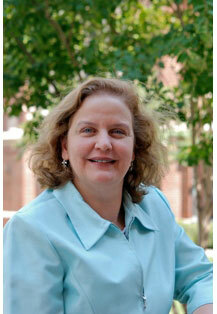 Olson worked at UNC Charlotte beginning in 2008 and led a team of 45 people in research and instructional services. From 2005-08, he served as head of collections management at Clark University’s Goddard Library in Worcester, Mass. From 1994-04, he was librarian for Germanic collections at Widener Library at Harvard University, and between 1990-93, he worked as a Germanic studies bibliographer at University of California Los Angeles’ Young Research Library. Olson earned three degrees from UCLA, including a master’s degree and doctorate in Germanic languages and a master’s in library science. He received his bachelor’s degree in Germanic languages from the University of Washington. Maria Calzada, Ph.D., professor of mathematics and long-time Loyola faculty member, has been tapped to serve as interim dean of the College of Humanities and Natural Sciences. Former dean Jo Ann Cruz, Ph.D., has returned to serve on the faculty at Georgetown University, where she worked prior to her service at Loyola, which began in 2008. Calzada will serve as interim dean during the course of a national search for the deanship. Calzada joined Loyola’s faculty in 1991. Her research interests include mathematical computations with an emphasis on applications in statistical quality control. She also enjoys working on teaching projects in collaboration with faculty in the Department of Mathematical Sciences and the natural sciences. Her teaching interests include all levels of undergraduate mathematics, but she has a special affinity for freshman level calculus. Recently she received a National Science Foundation grant to pursue interdisciplinary studies in the Loyola Chemistry Department. As a result of that grant, Calzada continues to pursue interdisciplinary research on spectroscopy topics together with chemistry faculty and undergraduate student researchers. Calzada received both doctorate and master’s degrees in mathematics from Tulane University, and a bachelor’s degree in economics and mathematics from Boston College.